Lauro golf course in Malaga. Golf in Costa del Sol, Spain. Lauro Golf is a golf course situated land inwards on the Costa del Sol, in the town of Alhaurin de la Torre, 300 meters above sea level and only 20 minutes from Malaga airport. Opened in 1992 and designed by Folco Nardi and Mariano Benitez, Lauro Golf has 27 holes, which can be combined from nine to nine, all par 72. The area enjoys a wonderful sea view and the route is smooth, for any type of handicap, however, the field requires concentration and skill. In the design of the field has been emphasized the respect for the environment, respecting the native vegetation, thus creating micro-climate for the many trees and fourteen lakes in the golf course. The clubhouse is located in an old Andalusian Cortijo (Farmhouse), with an excellent restaurant, changing rooms, shop and office, plus a swimming pool, paddle school, riding club and bowling nearby. Lauro Golf guests can also enjoy the latest technology in transportation with new Segways. Lauro Golf also has its own residential. Address: Carretera de Málaga a Coín A-404, km 14 - Cortijo El Paredón, 29130 Alhaurin de la Torre, Malaga. 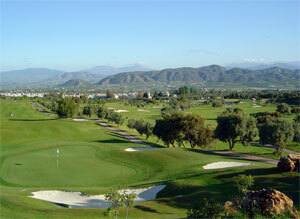 How to get there: Lauro Golf is located 18 km from Malaga airport in Alhaurin El Grande. Take the northern access to the airport MA-416 to Alhaurin de la Torre. 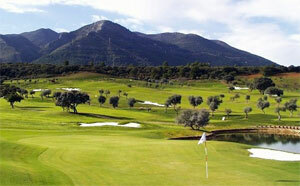 Lauro Golf is located on the secondary road A-404 between the towns of Alhaurin de la Torre and Alhaurin El Grande. Coming from Marbella, once you get to Fuengirola take the MA- 426 and drive past Mijas Golf and Alhaurin Golf until you get to Alhaurin el Grande. From here it is about 5 kilometres to the course towards Alhaurin de la Torre.